Vallone has always been protective of his borough’s bridge. 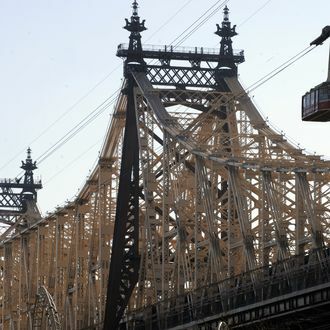 Back in 2011, he told CBS New York, “Some of the people in Manhattan may call it the 59th Street Bridge, but the people in Queens, for the most part, get very upset when you don’t call it the Queensboro Bridge.” Last year, when Koch was still alive, he drafted unsuccessful legislation that would have banned the city from naming landmarks after any living people. (Besides the Koch thing, he also didn’t like City Council colleague Fernando Cabrera’s plan to rename the Willis Avenue Bridge in honor of former Mayor David Dinkins.) Of his latest effort, Vallone said, “I’m not going to rest until it’s rectified, until we get our bridge back.” Somewhere, Koch — who called the addition of his name to the Queensboro “one of the highest honors to be given to me in my entire professional life” — is laughing.